The University of the Fraser Valley men’s soccer team put together a slump-busting performance on Saturday afternoon, defeating the Lethbridge Pronghorns 2-1 on the road. In the first meeting between the two teams since 2013, the Cascades got goals from Elijah Sampson and Karan Kular, and five saves from goalkeeper David Hicks to boost their record to 2-4-1. The Pronghorns fell to 1-6-2. The performance marked an offensive breakthrough for the UFV side, which had been shut out in its previous two games vs. the Alberta Golden Bears and Calgary Dinos. “It’s obviously big to get back to scoring goals, and we created a lot more chances than we have the past couple games,” Cascades head coach Tom Lowndes noted. “If we put more of those chances away, the game is a lot more one-sided than the final score reads. I thought we controlled 70 of the 90 minutes of the game, and only got a little shaky after they scored. Sampson opened the scoring in the 37th minute. Bronson Hartley sent a terrific cross from the right wing into the path of the fourth-year forward, and his initial shot from point-blank range was stopped in spectacular fashion by Pronghorns goalkeeper Nolan French. But the ball fell right back in front of Sampson, and he chipped it past the prone keeper for his first of the season. 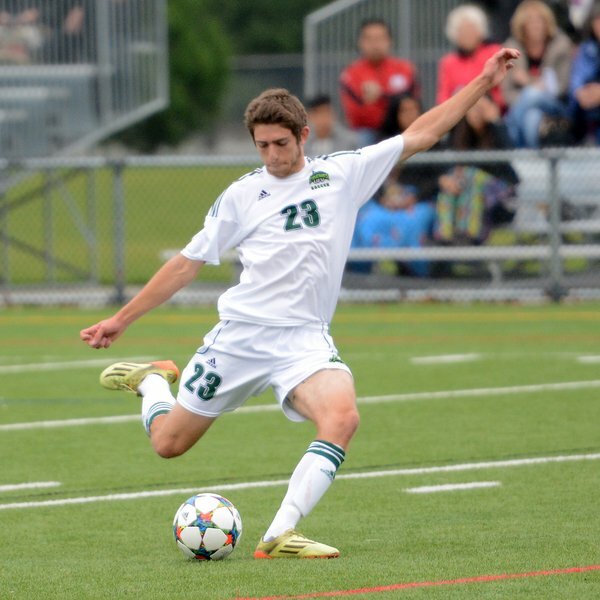 Cascades rookie Kular made it 2-0 in the 51st minute with his first career goal in Canada West play. Brady Weir sent a pass ahead for Kular streaking down the right wing, and he unleashed an outstanding strike from distance that eluded French and went in just under the bar. Lethbridge’s Stephen Primeau cut the UFV lead in half in the 67th, taking a cross from Dominque Point du Jour and depositing a low shot just beyond the reach of Hicks. Hicks came up big later on to seal the victory, though. The Pronghorns’ Andrew Primeau ran onto a through ball and had a partial breakaway, but Hicks leaped to his right to make a massive save. The Cascades are back in action on Sunday as they visit the MacEwan Griffins in Edmonton (2:30 p.m. MT / 1:30 p.m. PT, CanadaWest.tv). 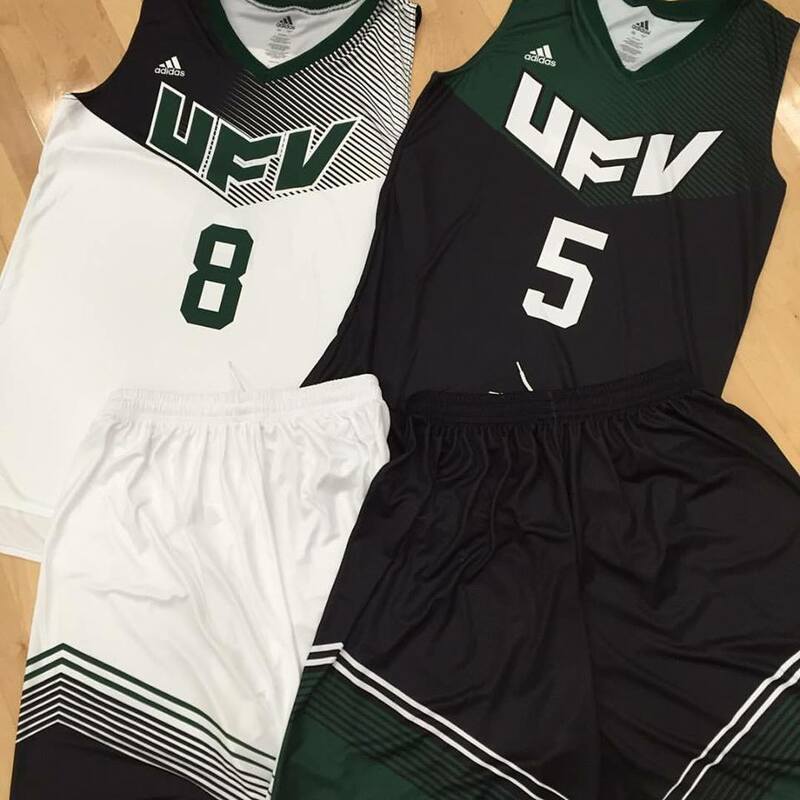 Be the first to comment on "UFV Sports Saturday – Soccer"